No doubt you’ve heard the news, Netflix’s Daredevil series is promising to come back with a figurative and literal vengeance in 2016 by finally bringing back the most popular “underground” character in the entire Marvel Comics Universe, The Punisher. This is tremendous news for the character’s fans who have for years been desperately clamouring for an authentic cinematic adaptation of Frank Castle, even before the arrival of the superhero tent-pole phenomenon. There was the ultra low-budget 1989 Dolph Lundgren romp that arrived the same year as Tim Burton’s wildly successful Batman (but shared none of its success), 2004’s shameful display starring Thomas Jane (and to our chagrin, John Travolta), and worst of all, the 2008 travesty called Warzone (Ray Stevenson) that offended fans on basically every conceivable level. Strangely, all three films seemed to get the casting down for Punisher pretty well; Dolph’s admittedly limited acting range actually helped in the portrayal of Frank Castle by giving him a really hollow, numb characterization that worked great. He was shocked, barely talkative, brutal, physically impressive. Doplh Lundgren’s Punisher may be the stuff of parody today but a closer look at his rendition is surprisingly on-the-money, even capturing Frank’s black sense of humour when he finds himself in grim situations. Louis Gosset Jr. was a great supporting actor too and brought genuine humanity to the proceedings. Some part of me believes that this version may have actually been the closest to the mark and might have even been a hit today with its 80’s B-movie feel. Thomas Jane, many will say, has so far been the most successful casting choice for Frank Castle, and his actual portrayal was heartfelt and researched. This of course just made it worse when we had to listen to him recite nauseating dialogue and engage in awkward sitcom-type comedy sequences in the hopelessly tone-deaf 2008 film. Set in Florida (WTF! ), this Punisher was barely recognizable as far as the grit and darkness of the comic book are concerned. Then there was the ridiculous plot, the lack of any interesting action or violence (in this case, a capital offense), and the scene chewing stylings of John Travolta. Punisher fans were left confused, frustrated, but most of all, severely disappointed. A few years later we would get Warzone, a reboot of sorts that promised to set things right. It cast a more mature Ray Stevenson (who dazzled in HBO’s Rome), Dominic West (from The Wire) as Jigsaw, and gave the impression in its pre-release hype that it would finally give the fans the goods. Garth Ennis was involved, Tim Bradstreet was consulted, all the elements were in place for that R-rated Punisher fans had been praying for. What we got instead is a (somehow) even lower-budget piece of garbage that almost murdered the character itself. In a way it actually did; Punisher remained a sceptic topic of discussion in Hollywood with almost no chance of being ever given another big run until last week. It now appears that Netflix has come to the rescue of Frank Castle in an absolutely unexpected and spectacular way. Daredevil, (the other similarly fouled comic book property) has made it to the big screen to resounding acclaim and opened up an entirely new chapter in comic-to-film adaptation. This humbly produced and intelligently executed marvel (of you’ll pardon the pun) has changed the game by opening up a parallel dimension where we can finally glance into the darker side of Marvel Comics, a side that may now get a fair shake and that has so far surpassed big-ticket properties like Avengers and Guardians of the Galaxy in terms of sheer storytelling, substance and maturity. 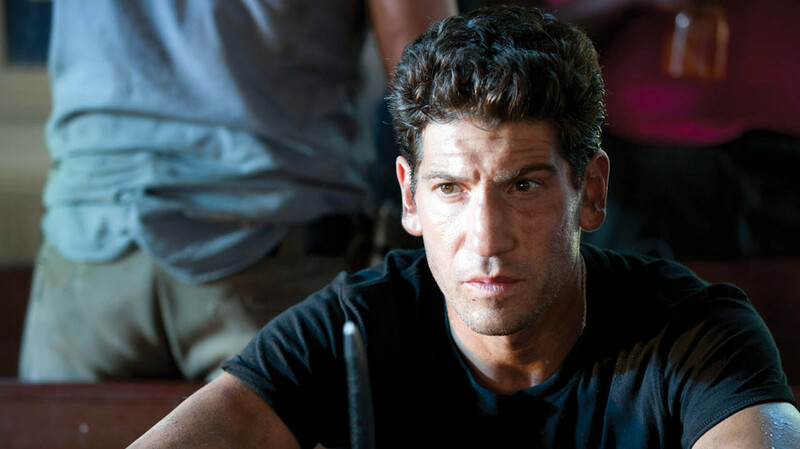 The new Punisher will come by way of Jon Bernthal, a casting choice that is likely to cause a bit of controversy (when doesn’t it? ), but one that could be absolutely perfect. We’ve established however that the casting has never really been the problem with The Punisher franchise, so what’s it going to really take to make it work this time?